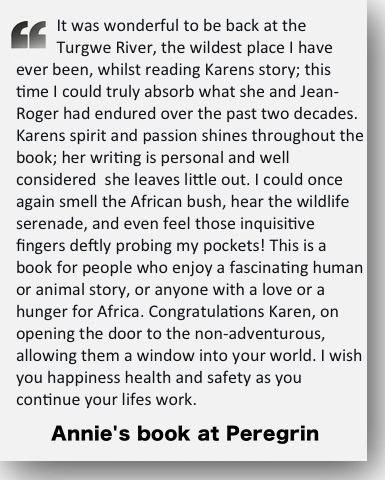 Terrific article about a remarkable lady and her faithful husband Jean-Roger. 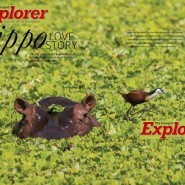 May they continue their conservation efforts without harrassment to the benefit of all wildlife at Hippo Haven by the Turgwe River. about her animal-dedicated life under challenging circumstances. A wonderful commentary about Karen and her incredible life. These words so well describe her passion and courage. 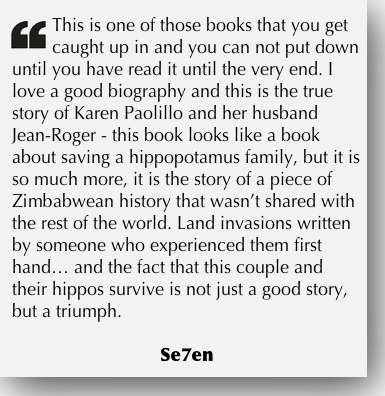 I have read A Hippo Love Story, it is the best and most exciting book I have read in a long time! What a well written article! 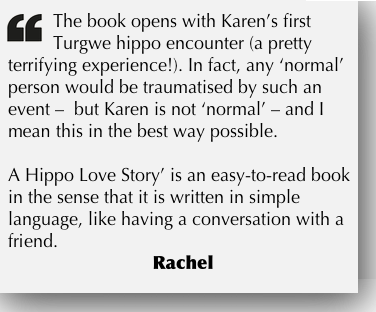 I read Karen’s book A Hippo Love Story (a birthday gift from my friend Gail) a while ago and found it a breath taking roller coaster of adventures,misadventures and emotions. I found myself gasping, laughing and crying.This article captures hi-lights of her story nicely. I have followed along on the web site ever since. .Terrific read, terrific couple. 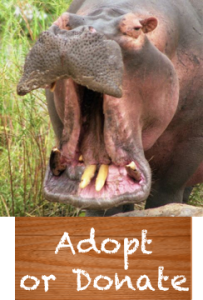 Adopt-a-hippo! 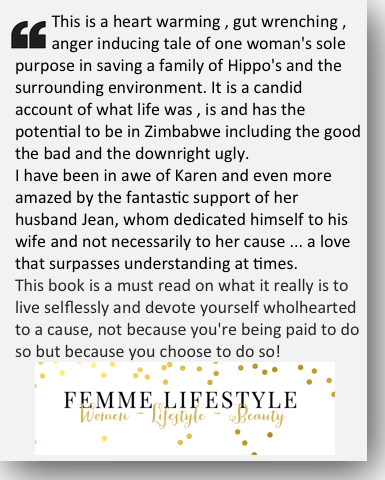 The article does a good job of providing a brief background on Karen’s early life and what prompted her to leave the safety of her United Kingdom home for the danger and adventure of Africa. 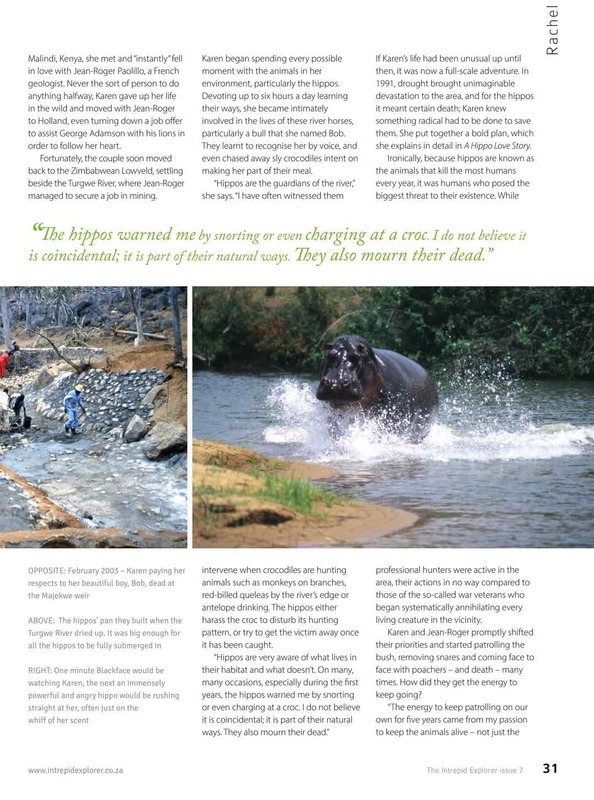 The article also provides information on Karen’s experiences and the efforts she and her husband have undertaken to help the Turgwe River animals (especially hippos) be as safe as possible from human predation. 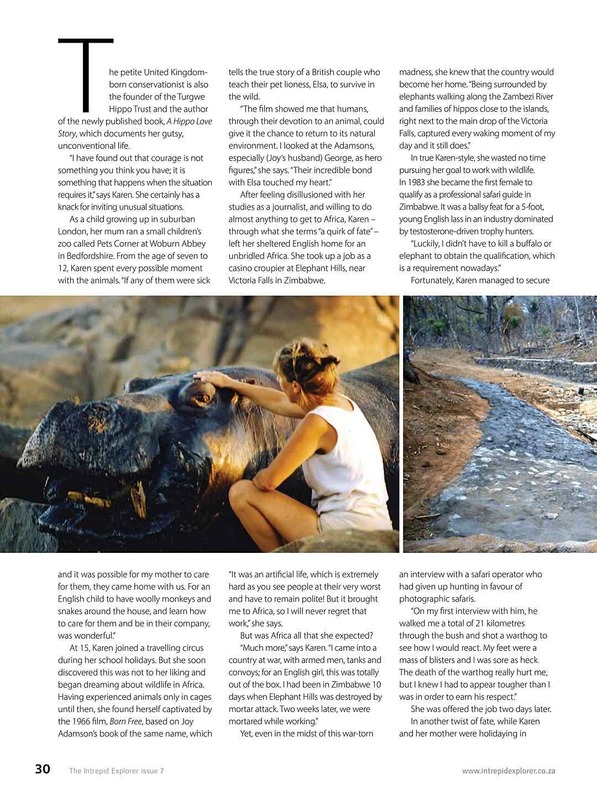 This article may even interest people in offering financial support to Karen’s work, an extra benefit of good writing. 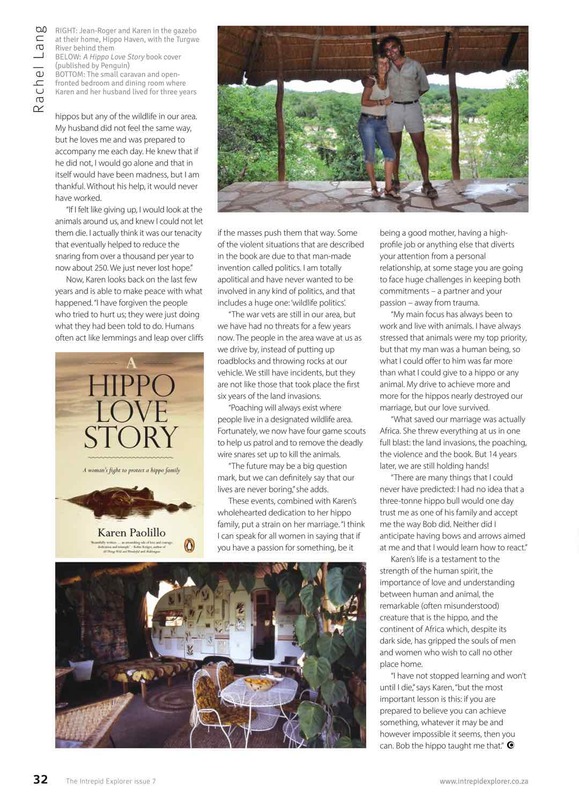 Having read Karen’s amazing book, and this interesting article, there is no doubt that Karen Paolillo and her husband are fantastic people. I admire their strength and perseverance! 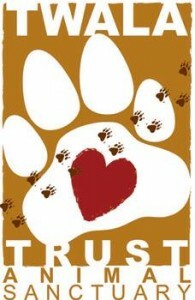 May you continue for many years to come, keep making a difference for all those animals in need. What a wonderful article by Rachel Lang. And excellent depiction of Karen’s adventures in her interesting life that keep her fans coming back for more! I look forward to another great read by Karen Paolillo! 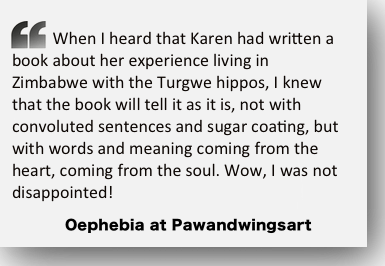 Very lovely article & I very much appreciates the work Karen is doing for my baby – Herbert. Very nice article – gives an accurate and fair synopsis of Karen’s adventurous and unique life! Merci beaucoup cher Domi et Anne la meme chose pour des gens comme vous!